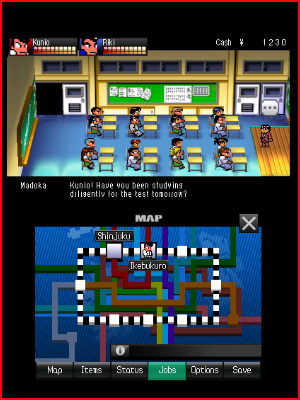 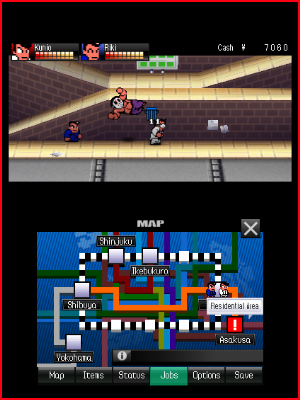 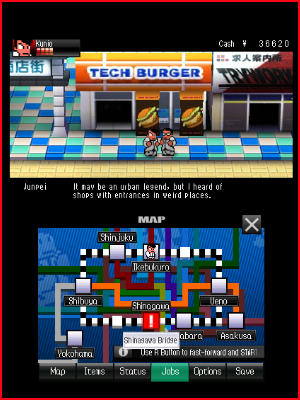 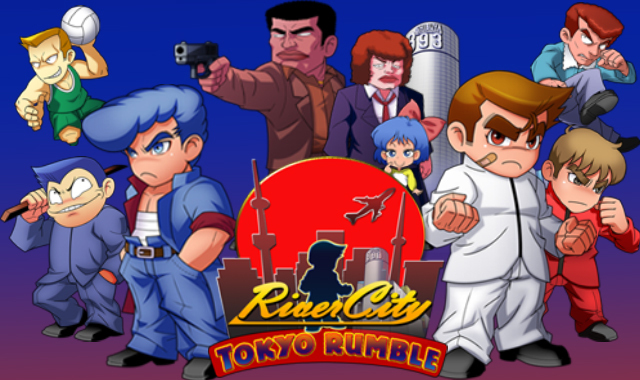 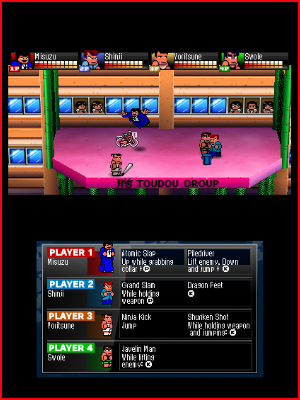 • Play as Kunio, Riki, and other famous fighters from the River City series! 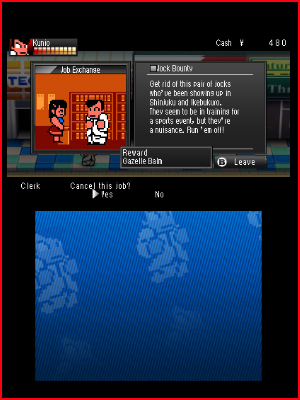 • Take on jobs to earn extra cash, special moves, and more! 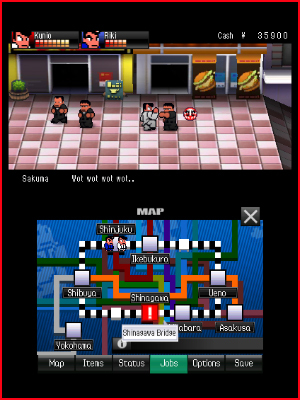 • Take a break from the main story to fight in a 4-man Rumble or Dodgeball match! 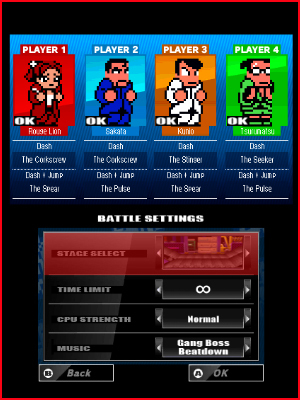 • Take on your friends using Local Play and Download Play! 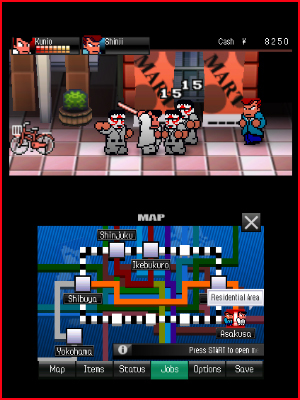 • Unlock new characters, stages, and songs as you progress through the game!